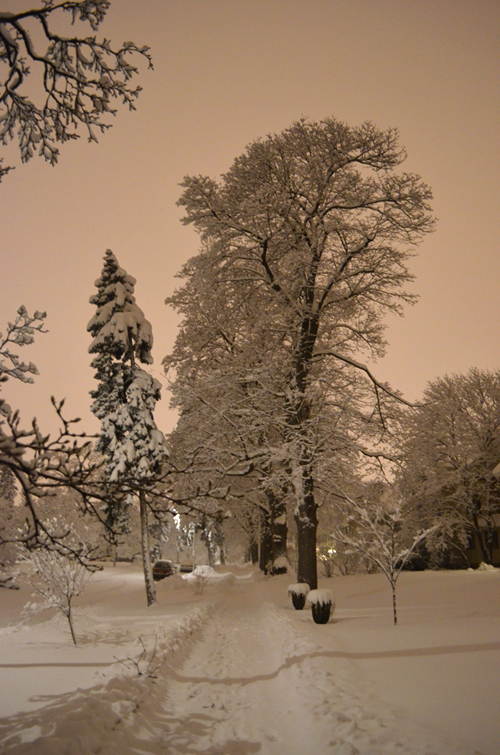 Friday night I noticed that during the snowstorm, it was unusually bright. 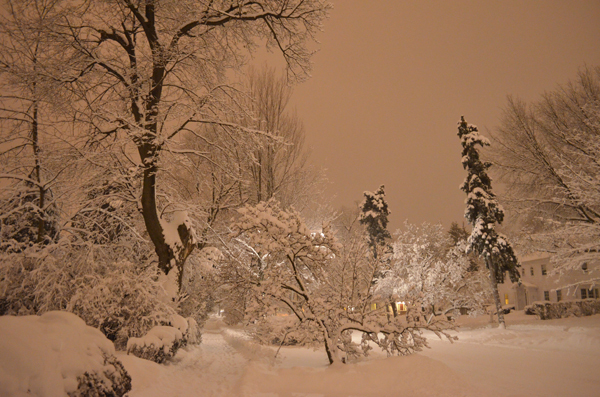 It was around midnight but I grabbed my camera and went out for a few pictures. The sky was almost glowing. This was at midnight? Amazing! Such beautiful pictures. This is so totally gorgeous. 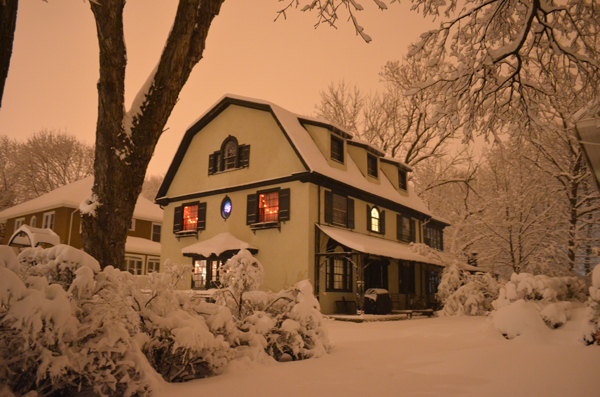 The snow really suits your house too! We got .1 inches in Philadelphia - a total bummer. Wow! thats amazing... 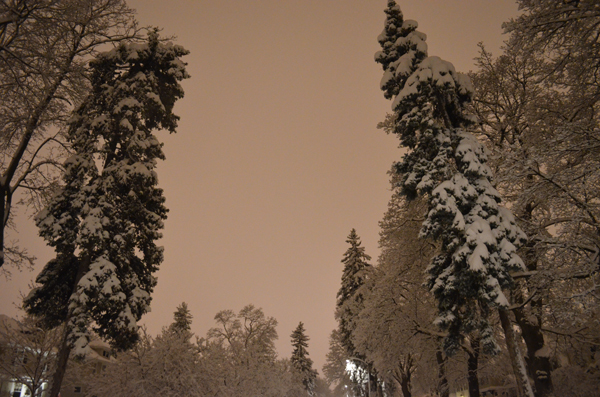 I wish I lived somewhere where it snowed. 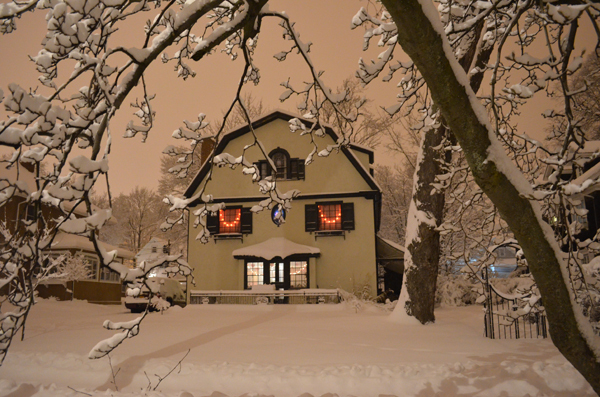 I think the house looks like an Owl.... great pics of beautiful snow.